As a team we have been asked a few times to provide a presentation of what a Verifiable Electronic Certificate is. Here with presentation more often that not people do imagine “more information”. Something to make them learn more and think more. 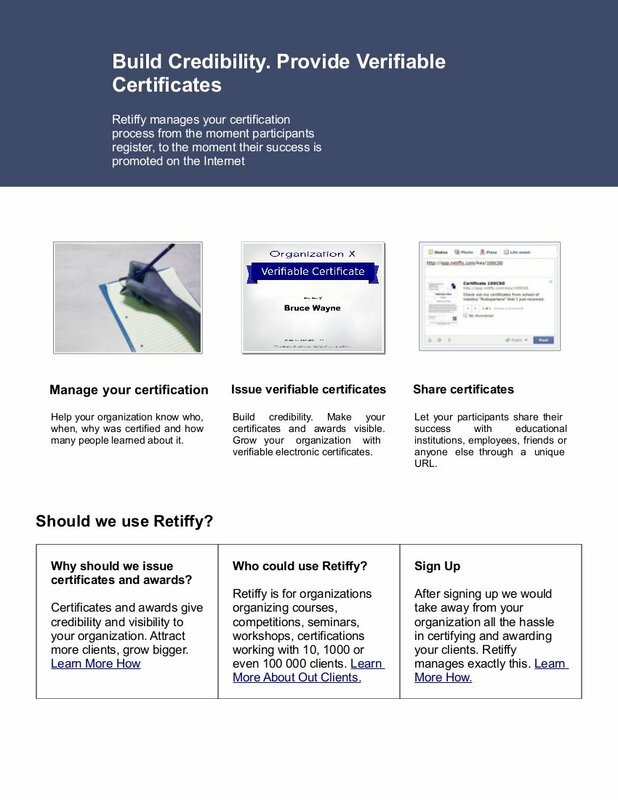 So here it is – 4 pages in PDF format that have most of the information about Retiffy. You could see the advantages, description on who should use Retiffy, what is the structure of the certificates and how to reach us.